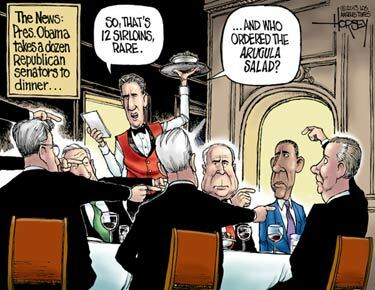 Despite President Obama’s recent dinner with Republicans, it is increasingly obvious that Barack Obama has no real intention of compromising with the GOP in order to achieve the so-called “Grand Bargain” that would reduce entitlement spending, increase revenues, and begin balancing the federal budget. Politico reports on one prominent Republican’s congressman’s encounter with the president. 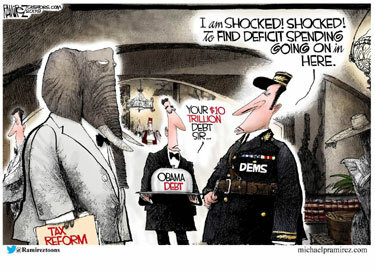 Obama stressed that what matter to him was how the budget was balanced, not that it should be balanced. What he cares about is sticking to his left-wing ideological guns. 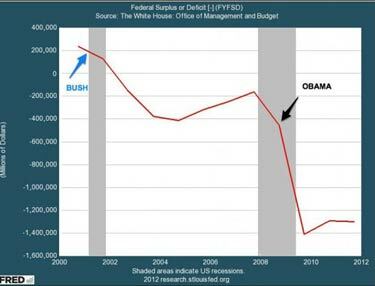 Obama clearly intends to do nothing contrary to his class warfare agenda to restore economic confidence and avert fiscal disaster. Really, though, Barack Obama is much worse than he appeared to Rep. McCarthy. His loyalty to theory obviously crosses the border dividing advocacy from action. And Barack Obama’s character is much more that of the fanatic than the contemplative intellectual. What has going on in Washington during the Obama Administration has not been a panel discussion or a colloquium. The administration has proceeded ruthlessly on every front simply to impose its will and get its way. What is most striking has been the absolute unwillingness of this President to subordinate his ideological agenda to economic reality. Obama’s intransigence and complete indifference to consequences identify him really as a terrorist, rather than a mere theorist and professor. If Barack Obama is a professor, he is a professor resembling Peru’s Abimael Guzman, the founder of that country’s Shining Path guerilla movement. 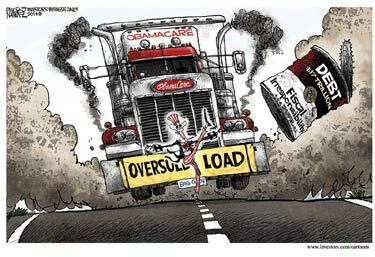 In the final analysis, President Obama has adopted a desperate modus operandi consisting essentially of holding a loaded gun aimed at the economic well-being of Americans and declaring himself perfectly willing to pull the trigger if his political opponents fail to surrender to his demands for an enormous payoff consisting of drastically increased taxes on businesses and upper income Americans. We can only hope that Republicans recognize that nothing positive can possibly be gained by negotiating with terrorists. 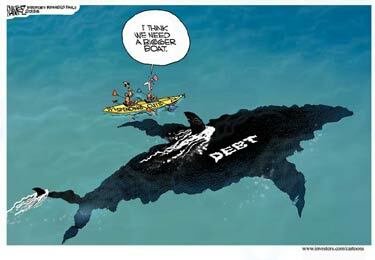 Mark Steyn measures the depths of America’s federal debt abyss. If you add up the total debt — state, local, the works — every man, woman, and child in this country owes 200 grand (which is rather more than the average Greek does). 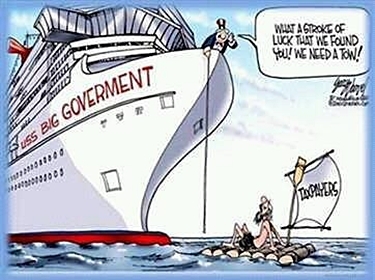 Every American family owes about three-quarters of a million bucks, or about the budget deficit of Liechtenstein, which has the highest GDP per capita in the world. Which means that HRH Prince Hans-Adam II can afford it rather more easily than Bud and Cindy at 27b Elm Street. 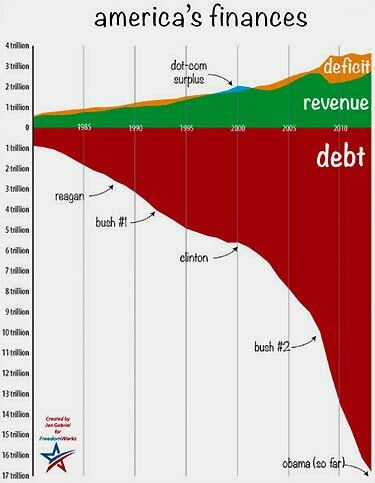 In 2009, the Democrats became the first government in the history of the planet to establish annual trillion-dollar deficits as a permanent feature of life. 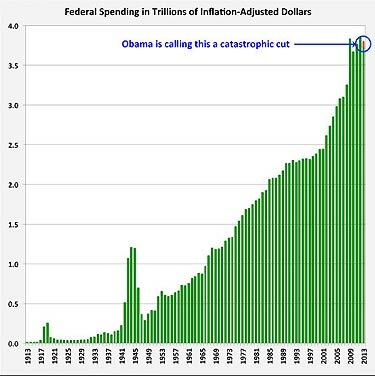 Before the end of Obama’s second term, the federal debt alone will hit $20 trillion. That ought to have been the central fact of this election — that Americans are the brokest brokey-broke losers who ever lived, and it’s time to do something about it. 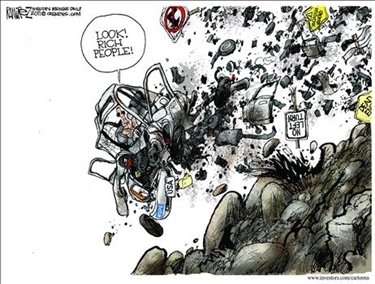 Mark Steyn takes at look at America’s situation at the beginning of the New Year, and concludes that the welfare state is self-destructing, but the establishment elites would rather save the planet than balance the national books. Underneath the patchouli and pneumatic drumming, the starry-eyed young share the same cobwebbed parochial assumptions of permanence as their grandparents: We’re gayer, greener, and groovier, but other than that it’s still 1950 and we’ve got more money than anybody else on the planet, so why get hung up about a few trillion here and a few trillion there? In a mere half century, the richest nation on earth became the brokest nation in history, but the attitudes and assumptions of half the population and 90 percent of the ruling class remain unchanged. 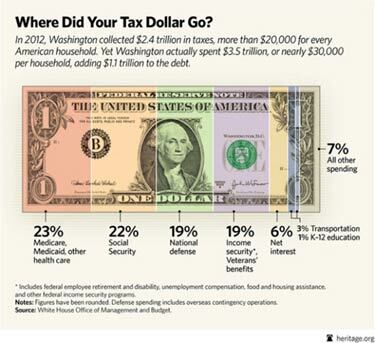 the Archives of Never Yet Melted in the 'Federal Deficit' Category.